Today, I’m going to teach you how to use Binance. Buying and selling cryptocurrency can be really stressful so it’s important to choose an exchange that you can trust. It’s also important to find an exchange that meets your needs and isn’t too complicated to use. There’s nothing worse than opening an account on an exchange and then realizing you don’t know how it works! In this Binance tutorial, I’ll teach you everything you need to know about how to use Binance. I’ll show you how to sign up, how to trade on Binance and what Binance trading fees you’ll have to pay. I’ll also tell you how safe the exchange is to use and even what kind of users it’s designed for. By the time you finish reading, you’ll know all about one of the biggest exchanges in crypto and, more importantly, you’ll know how to use Binance! 7 Who is Binance For? Binance was founded in China in 2017 by Changpeng Zhaoand Yi He. He and Zhao both worked at the OKCoin exchange before deciding to build their own crypto exchange. The company was forced to leave China in September 2017 after the Chinese government banned cryptocurrency trading. It has since had offices in Japan and Taiwan. It’s currently based in Malta. Note: An initial coin offering (ICO) is an easy way for crypto businesses to raise money without using more complicated methods like bonds or stocks. CoinMarketCap lists Binance as the second biggest crypto exchange on the market. In the last 24 hours, more than 1.4 billion US Dollars worth of cryptocurrency has been traded on it. Binance is a crypto-to-crypto exchange. This means that users can only use it to trade cryptocurrencies. If you don’t already own some cryptocurrency, then you’ll need to buy some before you can start trading with Binance. I suggest using an exchange that offers fiat currency trading like Coinmama, CEX.IO or Coinbase. Note: Fiat currencies are the official currencies of nations. Examples include: the Japanese Yen (JPY), the US Dollar (USD) and the British Pound (GBP). Once you have cryptocurrency, you can use it to trade with more than 200 coins and tokens on Binance. Now you know what it is, you’re ready to learn how to use Binance! Follow the simple instructions below and you’ll be trading in no time at all! Get registered: The first thing you need to know about how to use Binance is how to get registered! 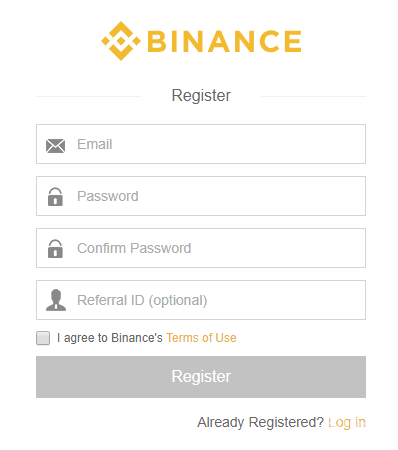 Go to the Binance homepage and click on Register. You’ll be redirected to the registration page where you’ll need to enter your email address and create a password. Note: Always use an email address which you know is secure and that you check regularly. When creating a password, use a mix of numbers, symbols, upper and lower-case letters. Prove that you’re not a robot. You’ll be asked to complete a puzzle which you should find easy unless…you’re a robot! An email will now be sent to you. Click on Verify Email to complete your registration. Secure your account: When your login for the first time, you’ll be asked if you want to set up 2FA. You DO want to set up 2FA, it’s very important! If you choose Skip for now you’ll regret it later! Note: 2FA is two-factor authentication. It’s a security feature which gives users an extra form of password. 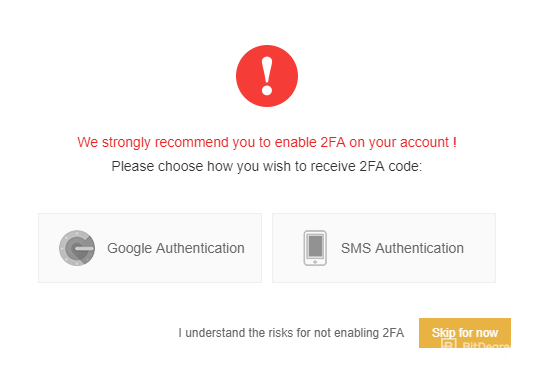 When using 2FA, users enter their normal password and a second code which can be sent to a mobile device by SMS or created by the Google Authenticatorapp. For this Binance tutorial, I will use Coinbase as an example of one way that you can fund your Binance account. A similar process will apply to almost any other exchange you are sending the funds from. I will use Ethereum (ETH) as an example of a cryptocurrency you can use to fund your Binance account. Go to Coinbase: Login to your Coinbase account and click on Accounts. Next, click on Send where it says ETH Wallet. You’ll be asked to enter a Recipient. This is where the Ethereum will be sent. You’re sending it to Binance so you need to get an Ethereum address from your Binance account. Login to your Binance account. On the taskbar, click on Funds then Deposits. Now enter the cryptocurrency you need an address for. In this example, I’m using Ethereum. Binance will create an Ethereum address for you to send funds to. 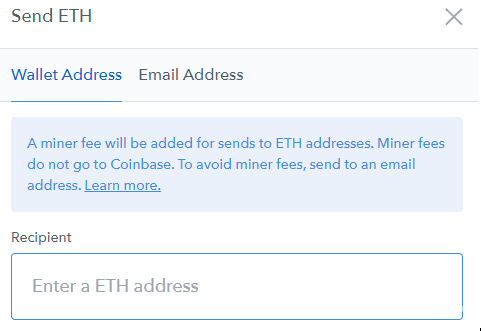 The ETH Deposit Address is where you will be sending your Ethereum funds so copy and paste it into the Recipient box in your Coinbase account. All you need to do now is decide how much Ethereum you want to send to your Binance account and click Send. The funds will appear in your Binance account as soon as they are processed by the Ethereum network. Now you know how to use Binance to open and fund an account. Next, you can learn how to trade on Binance! There are two Binance trading settings: Basic and Advanced. Beginners should start by trading in Basic. The Basic trade setting has a simple layout that’s easy to understand. Only important information for making trades is displayed. You must remember that Binance is a professional trading platform, so even the Basic trade setting might seem too complicated for some newbies to use. However, it won’t take you long to grasp it! The Advanced trade setting gives expert traders access to all the price charts and market data that they need to make complex trades. As this is a beginner’s Binance tutorial, I’ll only be showing you how to buy on Binance in Basic. I’ll save the tricky stuff for another day! Login to your Binance account. Nice and easy! Click on Exchange on the taskbar and select Basic. As you can see, Basic isn’t actually very basic! Choose a trading pair. Binance lists hundreds of trading pairs. These are pairs of coins that Binance offers an exchange rate for. For example, Bitcoin can be traded with 143 different coins so we say that Bitcoin has 143 trading pairs on Binance. In this example, our account is funded with Ethereum, so we are only able to trade with Ethereum. To find out which cryptocurrencies are offered for trading with Ethereum, select ETH in the top right corner. 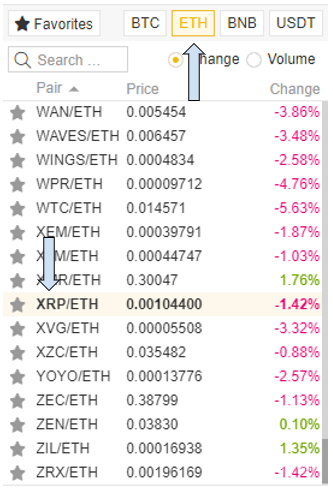 You’ll now be able to see that Ethereum has 140 different trading pairs on Binance. Select the coin that you want to exchange Ethereum for. For example, you could choose Ripple (XRP). Choose the amount you want to trade. 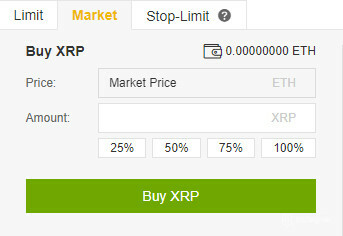 Click on Market if you are happy with the current market price and enter the amount of Ripple (or your chosen coin) you want to buy. 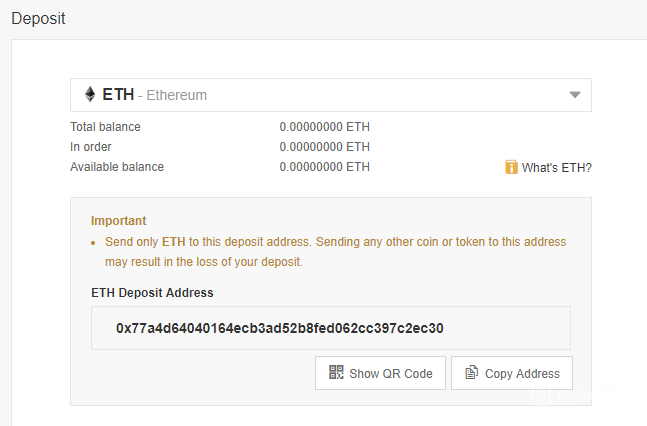 You can enter this as an amount or as a percentage of the Ethereum in your account. Now, the easy bit! Click on Buy XRP and that’s it. You’re now a Binance crypto trader! Binance trading fees are some of the lowest on the market. Binance doesn’t charge users for making deposits. This is because the exchange is cryptocurrency-only. It avoids the high fees that exchanges that offer fiat trading have to charge. Binance charges different withdrawal fees for different cryptocurrencies but they are all quite low. For example, if you withdraw Ethereum you’ll be charged 0.01 ETH and if you withdraw Ripple you’ll be charged 0.25 XRP. Binance trading fees are capped at 0.1% of each purchase or sale users make. This fee is reduced by 50% if traders use Binance Coin to pay them. So, that’s a final fee of just 0.05%! You only need to check the trading fees of its competitors to understand why Binance is one of the most popular exchanges on the market. Bittrex and Bitstamp are well-known for having low fees and they both charge 0.25% for each trade. That’s five times more than Binance! As you can see, Binance trading fees are one of the exchange’s best features. Next, I want to tell you about another one of its features – security. If I teach you nothing else today, I’ll teach you how to use Binance safely! This security feature is so important I’ve mentioned it twice! Nobody from the Binance team will ever ask for your passwords or your 2FA codes. They will also never ask you to send coins to a “safe account” or anywhere else! Don’t click on links to Binance in emails/pop-ups. Check the official Binance URL and bookmark it! If you need to contact the Binance team, use the contact information found on its secure homepage. 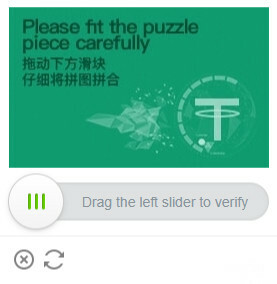 Your Binance account is only as safe as the device you’re accessing it from. Make sure all the devices you use to access your Binance account are free from bugs and viruses. Using a crypto exchange isn’t like using the services provided by your bank. There are no 24-hour helplines to call or buildings you can visit to complain! You’re responsible for the security of your account so be safe, crypto newbies! Binance is designed to appeal to as many users as possible. The exchange is simple enough for newbies to use and offers enough coins and features to keep expert traders happy as well. I would recommend Binance to crypto traders of almost every level of experience. The only users who might struggle to use Binance are first-time traders. These users probably won’t own any cryptocurrency and may not understand the basics of crypto trading. If this sounds like you, then I suggest signing up to an exchange like Coinbase. With Coinbase, you’ll be able to purchase your first cryptocurrency with fiat currency and make some simple trades. Then you’ll be ready to try Binance. Trading with Binance will take you from beginner to expert through its Basic and Advanced settings. You can start by making simple market trades and move on to more complex limit and stop-limit order trades. 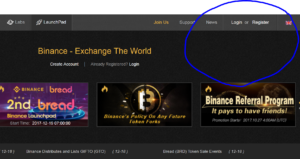 On June 28 2018, Team Binance announced that it had launched its first fiat trading exchange in…Uganda! Binance Uganda will allow traders to use Binance to buy cryptocurrencies with fiat currencies for the first time. When fiat trading becomes available across all of Binance’s platforms, I predict that most users won’t need to go anywhere else. The cryptocurrency exchange market is very crowded. The exchanges that succeed will be the ones that offer features that every trader can use and enjoy. In this Binance tutorial, I think I’ve shown you an exchange that does exactly that! 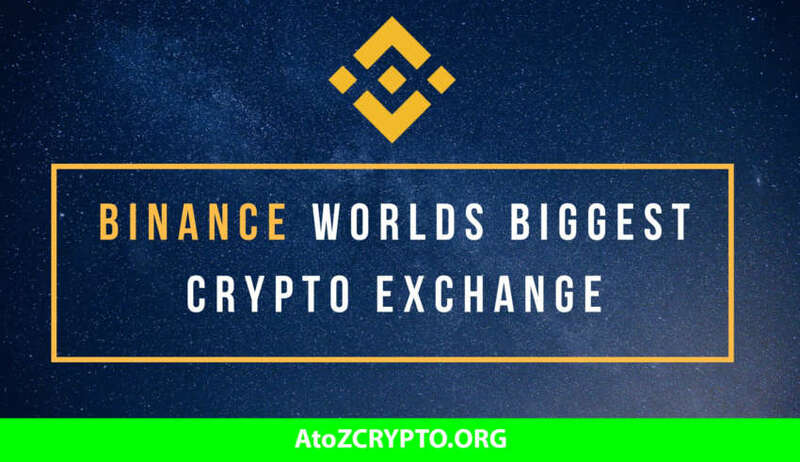 Binance has a trading volume of over 1.4 billion US Dollars for a good reason – it works! Binance has millions of happy customers all over the world. They use Binance because it’s simple and it has great trading features. If you don’t believe me, then you know what to do! I’ve shown you how to use Binance. Now, go and try it for yourself! When you’ve made a few trades, let me know. I’d love to hear what you think!